Developed by and featuring Kyle Idleman, from City on a Hill Productions. 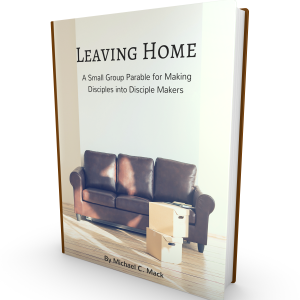 I highly recommend this study for any small group; I believe it sets the foundation for genuine discipleship in a group. A “Fan” is defined as an enthusiastic admirer. In the Gospels, Jesus never seemed too interested in fans. Jesus is looking for followers, not fans. How would things change if you lived as Jesus lived, and loved the way He loved? What if you could call yourself a COMPLETELY. COMMITTED. FOLLOWER.? Maybe you’re ready to join the thousands of people who have stepped across a line and said: I am not a fan.